SCL provides a wide range of technical services to the UK’s land managers, with a strong focus on conservation. SCL provides a wide range of advisory and monitoring services to the UK’s land managers. We have a keen interest in landscape-scale environmental planning projects, and offer a range of consultancy services to facilitate the process. We provide services that help bring landowners, public bodies and communities together to achieve common goals. How to manage wild deer? We offer a wide range of deer management support services, including abundance estimation, population modelling, cull setting and management planning. Our peatland research and experimental trials have achieved wide recognition amongst the government agencies for their quality. In November 2015, our work was recognised with a Nature of Scotland Award from the RSPB. SCL has expert in-house GIS capability to support all aspects of work that we undertake for our clients. SCL has the expertise and equipment to deliver a wide range of hydrological services to our clients, including hydropower assessment and river gauging. 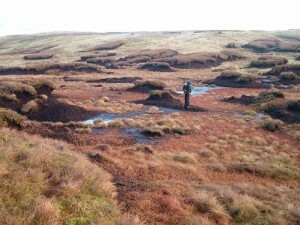 SCL offers a range of integrated services to evaluate the condition of peatlands on development and conservation sites. Why not look at our blog? It is updated regularly and describes the wide spectrum of services we offer our clients. We deliver a wide range of services to our clients in the wind energy sector, from scoping through construction to operations. Our staff hold Construction Skills Certification Scheme (CSCS) cards, have a First Aid at Work certificate and are trained to work under CDM regulations. SCL is registered with Achilles. How to count animals in concealing habitats? SCL has developed a wide range of indirect methods to quantify woodland animal abundance. SCL has expertise in upland geomorphology, and offers specialist technical services across a range of habitats including blanket bogs. SCL has wide ranging experience in developing blanket bog restoration methods and monitoring the outcomes after treatment work is complete. Our staff are our greatest asset, and we’ve been an Investor in People for over 12 years. SCL delivers a range of survey and monitoring services in commercial forests including stocking density and crop inventory. 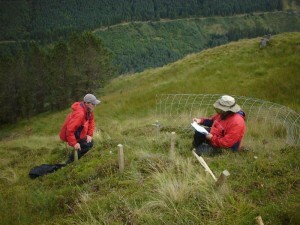 SCL has a long history of involvement in plant ecology and is experienced in a wide range of site survey methods and monitoring techniques. Forestry Commission Scotland (FCS) now offer a Woodland Improvement Grant (WIG) for deer management planning, based on the deer abundance survey techniques we developed. SCL offers a wide range of animal ecology services, with a focus on delivering high precision monitoring to help our clients make informed decisions. We have the capability and facilities to design and manufacture bespoke monitoring equipment. How do herbivores impact on habitats? We investigate the impact that mammals have in all types of woodlands and open range habitats, often using a formal experimental approach. 20 years of research and development by SCL has resulted in development of a high precision field method to estimate deer abundance in woodlands. Through expertise in hydrology and ecology, SCL can deliver a range of services designed to help our clients understand the processes at work on peatlands and groundwater-dependent ecosystems. SCL has spent almost 20 years developing high quality, custom-designed environmental monitoring schemes in the uplands for our long-term industrial partners. We have expertise in quantifying grazing impact across a wide range of habitats and animal species. Our staff have a critical scientific eye and are experienced in the field of technical review. SCL assesses new land for woodland establishment, designs & oversees planting programs and can deliver condition assessments through the life cycle of a new woodland. SCL can assess new land for woodland establishment, design & oversee planting and deliver woodland condition assessment. Over the last 17 years, we have continued to learn from the challenging work we undertake, and are constantly trying to find new ways of adapting or improving our techniques. Over the last 17 years, we have continued to learn from the challenging work we undertake and are constantly trying to find new ways of adapting or improving our techniques. SCL has an in-depth understanding of all aspects of experimental design, statistical analysis and field craft, enabling us to deliver a wide range of high precision monitoring techniques to clients. We have successfully delivered hundreds of consulting projects worth many millions of pounds since we first began trading in 1998. We work on smaller short-term projects but specialise in developing and delivering long-term programs of work for our clients which often lead to research publications being produced once projects are complete. N.B. We are currently re-building this section and so only a sub-set of the projects have detailed info available at present. Peatland assessment for development: ScottishPower Renewables (SPR) is the largest developer of onshore windfarms in theUK. A prospective site in the north of Scotland was the subject of a detailed scoping study aimed at providing all the information needed to determine whether or not a development was appropriate at the chosen location. 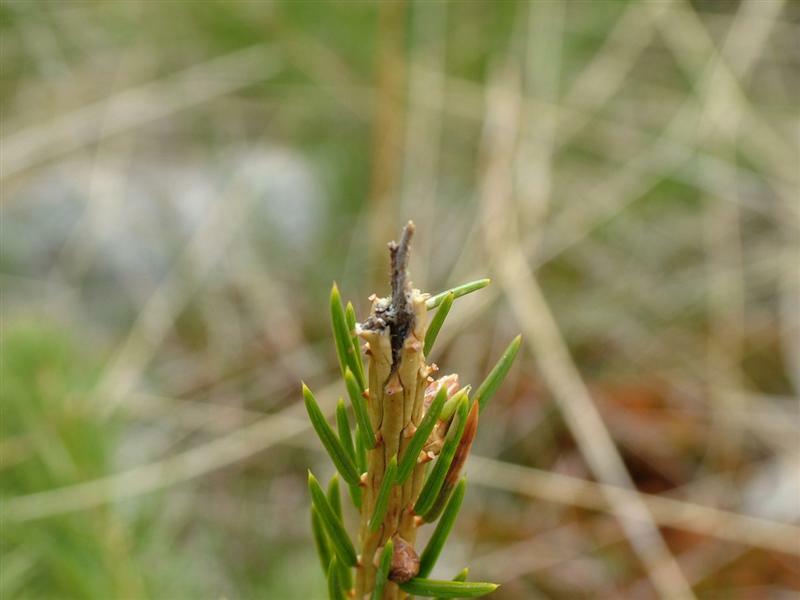 The impact of deer on montane habitats: Forest Enterprise Scotland (FES) Forest Enterprise Scotland (FES) manages the national forest estate in Scotland and is responsible for timber production, conservation and recreation. SCL has worked withFES for many years in Glen Affric, quantifying patterns of deer abundance and impacts. In the latest phase of the work, we installed a suite of experimental enclosures high on a ridge above the upper glen after using a helicopter to drop off the materials on the site. The plan is to follow the response of the vegetation inside the fences over time to quantify changes. Saltmarsh and mudflat restoration as mitigation for a new bridge: MorganVinci Joint Venture (MVJV) won the contract for the Upper Forth Crossing, now known as the Clackmannshire bridge. SCL was asked to design a program of monitoring which would confirm the extent to which the mitigation plan for the bridge construction had been successful. 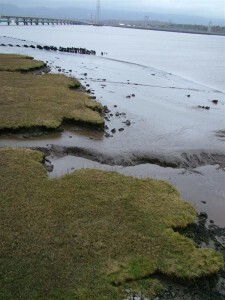 The mitigation work involved creating new saltmarsh and mudflat habitat. Deforestation of peatland for bog restoration: ScottishPower Renewables (SPR) is the largest developer of onshore windfarms in the UK. SCL has worked with SPR for almost a decade now, quantifying patterns of plant re-colonisation of commercial forest land cleared of trees in order to restore blanket bog. The aim of the project is to develop a detailed understanding of the factors which control the process, in order to ensure that mitigation proposals in EIA’s are achievable. 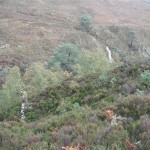 The erosion of an upland plateau: Scottish Natural Heritage (SNH) is the lead government agency for conservation in Scotland, and also manages a number of National Nature Reserves. 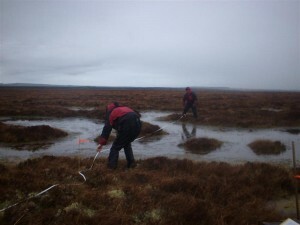 The Monadhlaith SAC in Inverness-shire is currently the subject of a very detailed study by SCL, the aims of which are to identify the pattern occupancy on the site and to establish whether the pattern of deer impacts on the eroding blanket bog is in any way associated with deer occupancy levels. The study is ongoing, and has so far involved a wide range of ecological and geomorphological survey techniques and modelling being employed. The hydrology of blanket mire under development: ScottishPower Renewables (SPR) is the largest developer of onshore windfarms in the UK. 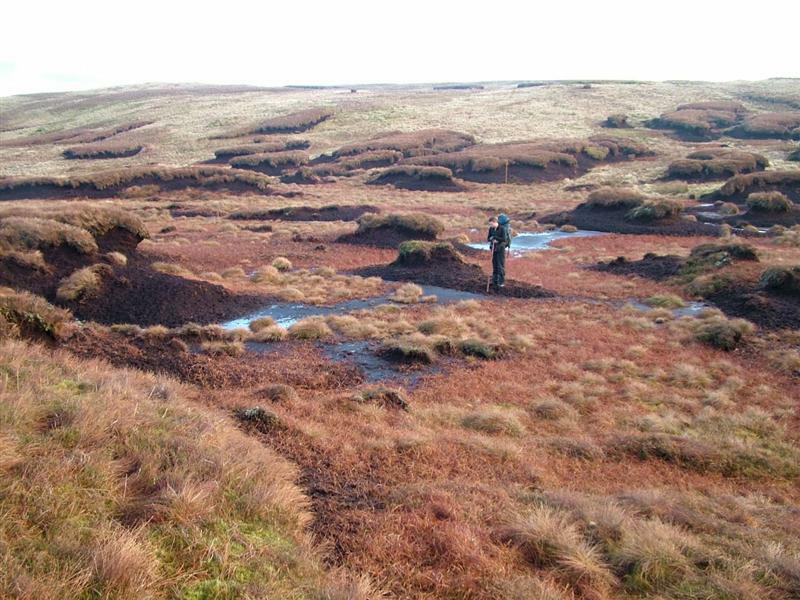 SCL is currently involved in a study of blanket bog hydrology in southernScotland, the aim of which is to understand more about the impacts on surface hydrology of infrastructure being installed on afforested peatlands. The project involves the use of a wide range of hydrological monitoring techniques and will run for several years. 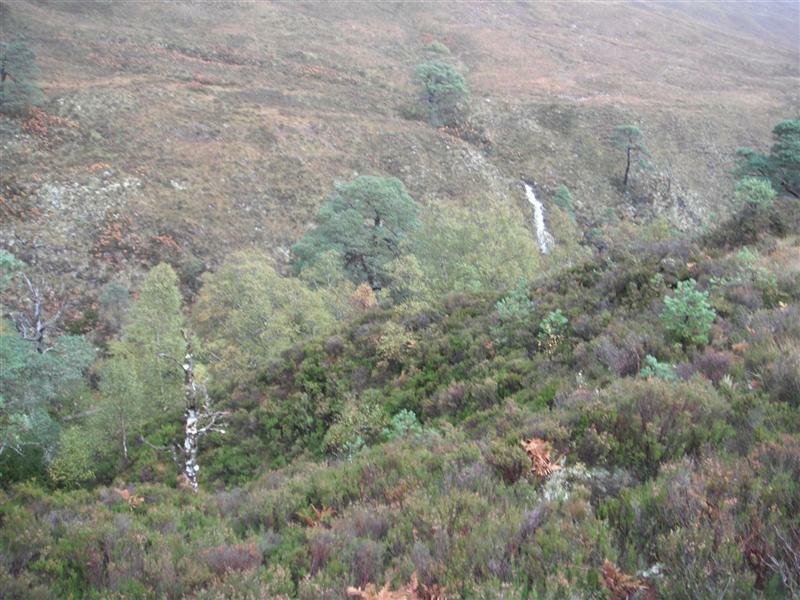 Reviewing the approach to setting deer culls: Forest Enterprise Scotland (FES) manages the national forest estate in Scotland and is responsible for timber production, conservation and recreation. SCL has worked with FES for a long number of years, trying to develop reliable ways to predict deer population dynamics using a range of field-based and modelling approaches. Key work has included checking the accuracy of biometrics data gathered in deer larders, identifying how much time is actually spent culling in a range of forests and producing modelling frameworks which deal with sampling errors. 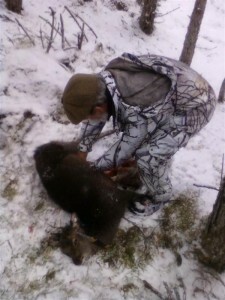 The aim of the work is to help ensure that the most appropriate number of deer is culled in a given area of forest. Establishing a new native woodland: ScottishPower Renewables (SPR) is the largest developer of onshore windfarms in the UK. A site in the south of Scotland was deforested as part of the construction process. In order to meet with the requirements of current government policies on clearance of forest, SCL designed a new native woodland covering several hundred hectares. The next phase of the project, overseeing the establishment of the woodland, will also be undertaken by SCL staff alongside SPR. Reviewing red squirrel management practices: Forestry Commission England (FCE) is responsible for woodland grant aid in England, and also oversees forestry policy. We worked on a project to review the current practices employed in control of grey squirrels and monitoring of red squirrels, as part of a large project currently underway in the North of England which is trying to conserve the red squirrel under threat due to habitat loss and Squirrel Pox virus (SQPV). 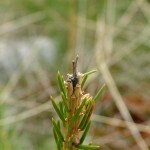 Deer impacts on commercial forest plantings: Coillte Teoranta is the state body for forestry in Eire. The Wicklow region has been the subject of a wide range of detailed studies over the past 12 years by SCL, involving deer abundance assessment, deer impact assessment and modelling. The aims of the project have been to forecast the likely extent of economic losses arising from timber quality degrade, compared with the likely revenues arising from stalking leases and venison sales. Restoring an open cast coal mine: Scottish Power Renewables (SPR) is the largest developer of onshore windfarms in the UK. SCL was involved in the restoration of an open cast coal mine site in southern Scotland, notably in monitoring the response of the land after restoration work was completed. A range of techniques were employed to characterise the nature of restored surfaces, and then to quantify changes over time in plant cover. A range of surveys were also undertaken to try and identify additional management work which could be undertaken to improve the end outcome. …SCL has recently entered into a partnership with New Zealand based company Wildlife Management International Ltd. Together with BioSS in Edinburgh, we will be providing a wide range of services to SNH and RSPB ahead of a planned eradication of the non-native stoat on Orkney in 2018. 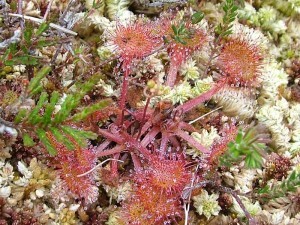 …SCL has developed an ambitious regional application to the Peatland Action fund on behalf of the Monadhliath DMG. We have now successfully secured funds to work on a wide range of estates across the area. …SCL has been asked, along with ScottishPower Renewables, to co-author a chapter in the upcoming IUCN Commission of Enquiry on Peatlands – this being produced by leading experts across the UK over the next 12 months. …Our work producing a 10-year estate development plan for the Applecross Trust, in consultation with the local community and businesses, is drawing to a close. This ambitious and exciting project is now entering an implementation phase – we will continue to offer the stakeholders our support as required. ..SCL enter the second year of our contract monitoring deer for Forest Enterprise Scotland. Deer population assessments start in the coming months at a wide range of locations nationally, followed by a program of deer impact assessment on every re-stocked forest crop in Scotland.